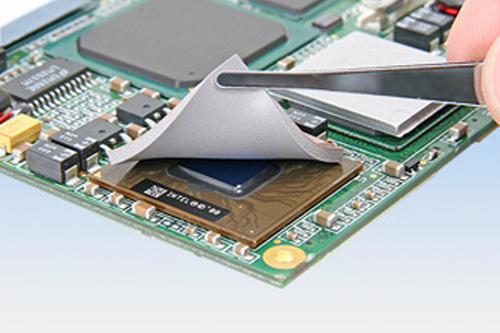 cTech offer a wide range of high quality, competitively priced thermal interface materials from the leading manufacturer, HALA. Selecting the best thermal interface material is not always easy. We can help you choose the best material thickness and hardness for the gap and the tolerances you need to take up. Silicone foils are very popular for transferring heat from small, high power electronic components whilst providing electrical insulation. Phase change materials supplied in sheet form, pre-applied to a thin aluminium carrier or even as a screen/stencil printable format. Graphite sheet is a very cost effective thermal solution. 8 W/mK in the z plane and 140 W/mK in x –y for heat spreading. Die cut to your design. 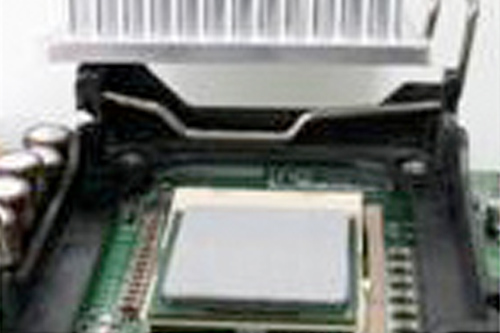 Where mechanical mounting is not preferred, thermally conductive adhesives can be used. Bead on bead or one part silicone adhesives are available. We can also offer double sided thermally conductive tape.